We are looking for students to enroll in our NEW school. Anyone in the Rochester, IN area looking to get fit, have fun, and begin your martial arts journey, may click below for more information. On Tuesday, October 31st, the Rochester Downtown Partnership will host the 2017 BooFest, in downtown Rochester, Indiana. For anyone not familiar with this event, all businesses in downtown Rochester, including Rochester Family Martial Arts, will be handing out candy from 5:30 -6:30. There will be special events including games and costume contests, hosted by the partnership. More specifically, Rochester Family Martial Arts will be holding a modified Trunk or Treat, inside the school. All families are invited to setup a table, decorate and dress with your favorite theme, and hand out candy to all of the kids that participate. We may also have a haunted house, (awaiting confirmation), so please be involved and ready to celebrate the Fall season. ALL students and parents are invited to participate. See Mr. or Mrs. Schaeffner for details. 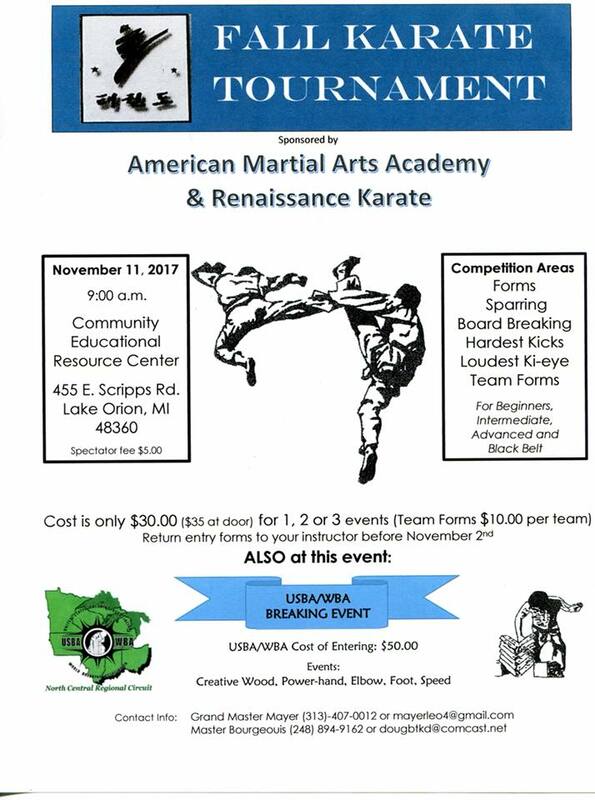 Rochester Family Martial Arts will be sending competitors to this event and we are looking for any additional students who are looking for an exciting weekend vacation. 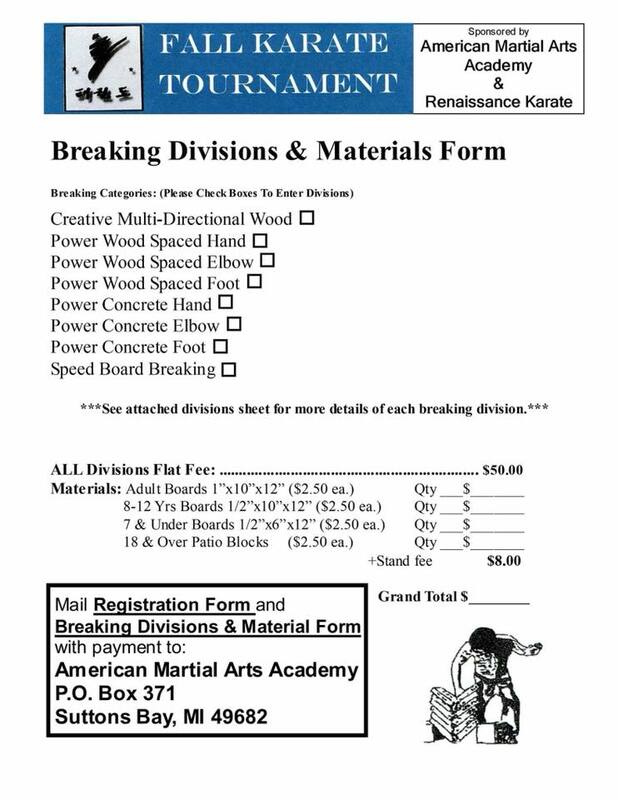 Breaking events will include, Creative Multi-Directional Wood, Power Wood ( Hand - Elbow - Foot), Power Concrete (Hand - Elbow - Foot), Speed Breaking. 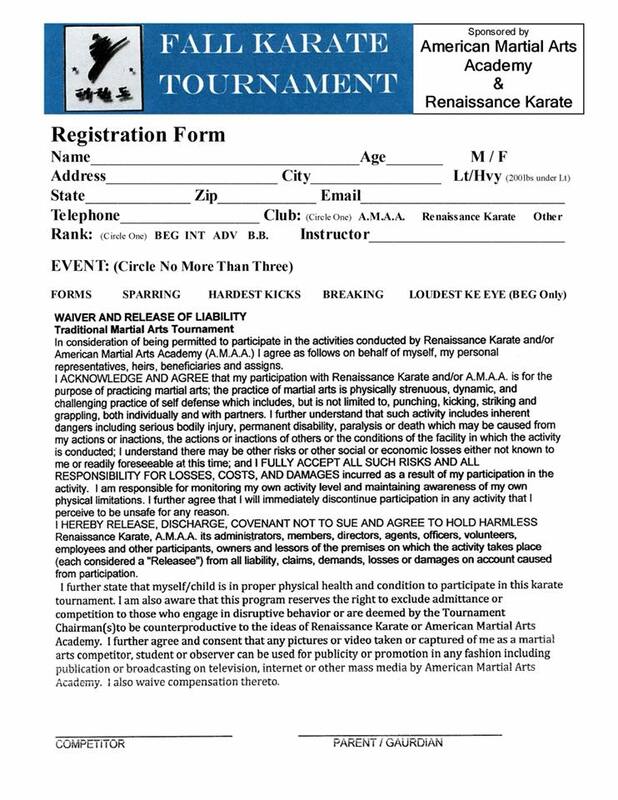 There are also events forms and sparring, for any of our students interested in Karate events. Please see Mr. and Mrs. Schaeffner to register before October 31st. Mail in registration is due by November 5th.